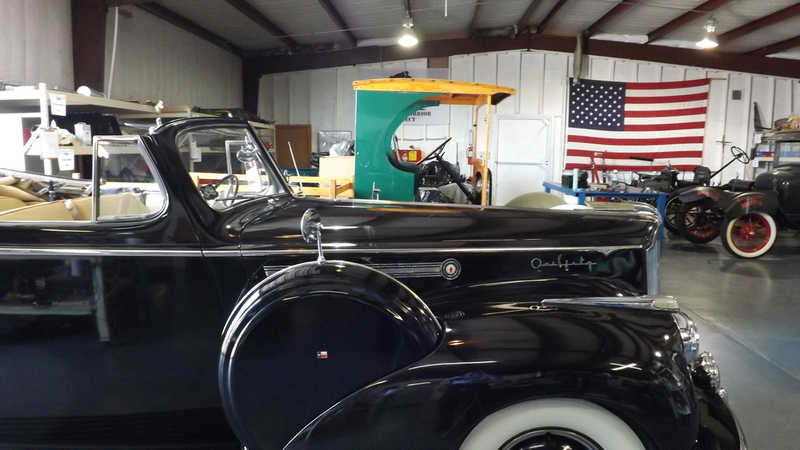 In an exclusive agreement with Packard since 1937 until Henney's demise in 1954, Henney provided bodies for Packards's ambulances, hearses and flower cars, and they often provided special custom body work for passenger cars. The pre-WWII Henney models usually had 160-180 trim but were actually on the Packard 120A 156" wheelbase chassis with the smaller 288 cubic inch engine although there were also 160 and 180 versions available. There were minor styling changes in the 1941 and 1942 models (19th and 20th series), the most notable of which was the moving of the headlights into the fenders. Also for the first time, running boards could be deleted with a rocker panel put in their place to cover the chassis, and two-tone paint schemes were available. The final 180s rolled off the Packard assembly line in February, 1942, as World War II brought a halt to civilian automobile production. There have been rumors that machinery was transferred to the Soviet Union, and production continued until 1959 as the ZIS-110. However, according to James Ward's book The Fall of Packard, page 46, he found no supporting evidence in the Packard archives of such a transfer. Also, the ZIS-110 shares no sheet metal with any Packard, despite the fact that its external decor elements were intentionally designed to heavily resemble pre-war Packards, favoured by Stalin. The Packard 180 was also the first car to have power windows. This classics car was brought in so our team could inspect and fix the overdrive system. We also resolved several wiring issues in addition to fixing the rear fender and doing a little spot touch ups on the paint.